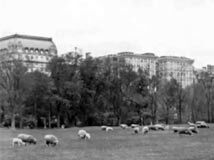 What we know today as the Tavern on the Green in Central Park at West 66th Street was originally a “sheep fold”; that is, a barn for the sheep that used to graze on the Sheep Meadow. 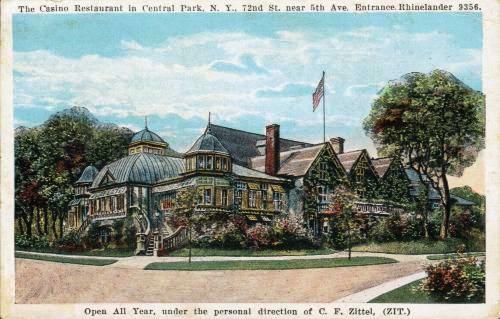 Meanwhile the Central Park Casino, an exclusive club for the rich and powerful[2,pp.397-401] situated across the park, was deemed an improper use of public land and torn down and the sheep fold converted into a ”popular priced restaurant” open to the public. Rosenzweig, Roy, and Elizabeth Blackmar, The Park and the People: A History of Central Park, Cornell University Press (1992), pp.454-455,449-451. New York City Parks Department press release of October 29, 1934. New York City Parks Department press release of April 3, 1937: Reopening of Tavern on the Green (and also the newly renovated historic Claremont Inn, which burned down in 1949). The 1930s: Robert Moses and a New Deal at centralparkhistory.com. 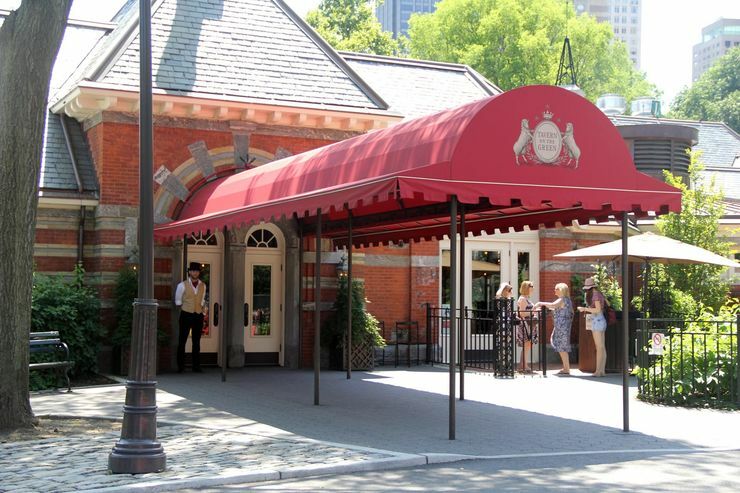 Tavern On The Green website.